The Light Between Oceans (2016). Read my review for why this classy tear-jerker is a film to see. Film review by Jason Day of The Light Between Oceans, starring Michael Fassbender, Alicia Vikander and Rachel Weisz. Young couple Tom (Michael Fassbender) and Isabel (Alicia Vikander) marry and start a quiet married life on the island of Janus, off the coast of Western Australia shortly after the First World War. After two miscarriages, a row boat appears on the island with two passengers: a dead man (Leon Ford) and a baby girl. Despite Tom’s objections, Isabel pressures him to let her keep the baby. Tom reluctantly agrees and buries the man’s body but is overwhelmed with guilt when he unexpectedly meets the baby’s distraught mother (Rachel Weisz). Romantic films in which there is a clear spark between the leading actors are lovely things to behold. And a rare quantity these days when the sheen and sheer lushness of those old Hollywood classics is a bygone relic of movie production. 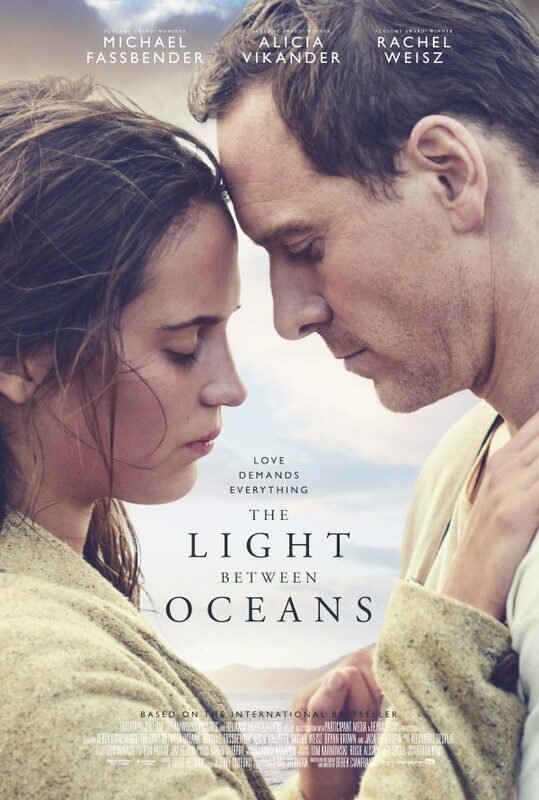 So romantic films when the two leads actually fall in love whilst playing out the drama of their characters are even rarer – The Light Between Oceans is one of these films. This might will be its calling card at the box office and the film’s promoters must have been rubbing their hands with glee when Fassbender and Vikander finally started to talk about their relationship in September (the film went into production two years ago). It’s obvious from their very first scene as they stare deeply into each others eyes and helps director Cianfrance add extra layers of intimacy to their love scenes in this Australian Ryan’s Daughter (1970) style high drama of high emotions (be prepared for a genuinely harrowing moment as Vikander suffers a traumatic miscarriage). Cianfrance has a delicate and finely nuanced touch throughout the film and crafts some telling moments. Vikander is half-hidden in the doorway to her marital bedroom, beckoning her new husband (and the camera) to follow. Later, her fingers creep over the grass in front of her unnamed miscarried child’s sad little grave saying a final farewell. There are epic scenes to establish the isolation on the ironically named isle of Janus (Janus being the two-headed ancient Roman God of new beginnings and doorways. And there are plenty of new beginnings for the people in this film as the ‘ownership’ of little Lucy/Grace is fought over). The ferry to Janus bobbing in a wide open sea; endless waves endlessly tumbling toward the shore. The final shot of a lonely Fassbender looking out across the horizon is one of hope however, as this emotional story is finally closed. This said, the duration of the film is extended by too many too extended establishing scenes in the film’s first half. Cianfrance avoids going the full Ryan’s Daughter, but he needed to tighten things up a bit and not dawdle. There is the slightest, inescapable whiff of ‘TV Movie Issue of the Week’ about this story, as if its a big budget version of the type of heart-on-its-sleeve dross banged out by the dozen and starring Jane Seymour, Patty Duke, Judith Light et al back in the 1990’s. But with this cracking, A*-grade cast firing on all cylinders with some gripping and thoroughly convincing acting, that whiff soon dissipates (and I include Florence Clery as four year old Lucy/Grace too). It’s a 3-hankie effort for sure, but the best one you’ll see in quite a while. Producers: Jeffrey Clifford, David Heyman. Michael Fassbender, Alicia Vikander, Rachel Weisz, Florence Clery, Jack Thompson, Thomas Unger, Jane Menelaus, Gary McDonald, Bryan Brown. I, Daniel Blake (2016). 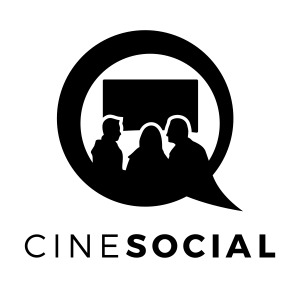 Read this review to find out how it helped reform my opinion of Ken Loach.